Established since 1898, Spiller Builders is a family business that spans 5 generations. We believe our approach is unique among our competitors — Our desire is to provide high quality workmanship within both traditional and modern designs. This is achieved through a well-trained and highly experienced team. 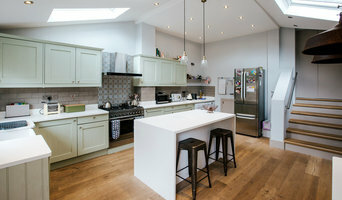 Based in Whiteladies rd, Bristol, together with an additional satellite office covering London, we are high quality refurbishment & new build specialists. Maintaining a direct workforce of circa 50 tradesman allows us to cover all manner of trades within both the commercial and high-end residential sectors – encompassing new build schemes, refurbishments, alterations, listed building works and both reactive & planned maintenance services. Here at Avent Interiors we have been established for over 30 years in providing high-quality office refurbishment. Our experienced team uphold high standards of workmanship and ensure minimal disruption to your business throughout a project. Accredited members of the Finishes and Interiors Sector, we work with local SME’s, International Organisations and everything between. Due to vast experience and positive supplier relations, Avent Interiors are able to provide Cost-effective Office Interiors. Whatever your budget, we will do our very best to ensure we achieve your ambition. Molehill Construction was started by Alex Mole in 2010. Alex has been in the building trade since 2006 where he trained primarily as a plasterer and master builder, but acquired many other skills including carpentry and plumbing. Today, Molehill Construction has a large team of builders and contractors at our disposal. You’ll see us around Bath and surrounds in one of our many vans, and we operate from our premises in Moorland Road, Bath, where we set up in 2016. Molehill Construction specialise in extensions and renovations, through the team’s wide-ranging experience and industry partners including skilled and certified plumbers, electricians and gas specialists; all vetted and trained to a high standard. Molehill is a certified trader through the Bath & North East Somerset Council and UK Government run Buy With Confidence trading standards scheme. We are a registered limited company in England and Wales No 07583058. We have full public liability insurance. We understand that the work we do is on your home and not just a building. With this in mind, we strive to create your perfect home whilst balancing the complexities of design vs budget to meet the needs of you, our customers. Feedback from our customers shows that we are not your average building company and are willing to go that extra mile for our clients. We look forward to hearing from you. 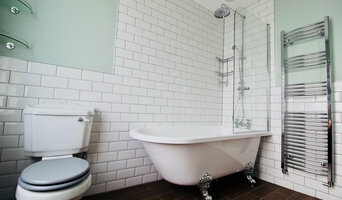 Here at JC Developments we can provide a range of services, from simple house alterations to complete build solutions. We are a well established local business, and our approach is very hands on, with our Managing Director, Graham Joyce, directly involved in all projects. JC Developments draws on more than 25 years of experience in the building trade to make the correct choices for any project, providing a high quality, cost effective solution. With our wide ranging skills and excellent partnerships with many local architects, surveyors, suppliers and sub contractors. We are able to provide clients with exactly what they need, for a complete building solution. We pride ourselves on our down to earth approach and sustained good communications with our clients, which builds trust and has led to many satisfied customers, as our testimonials demonstrate.